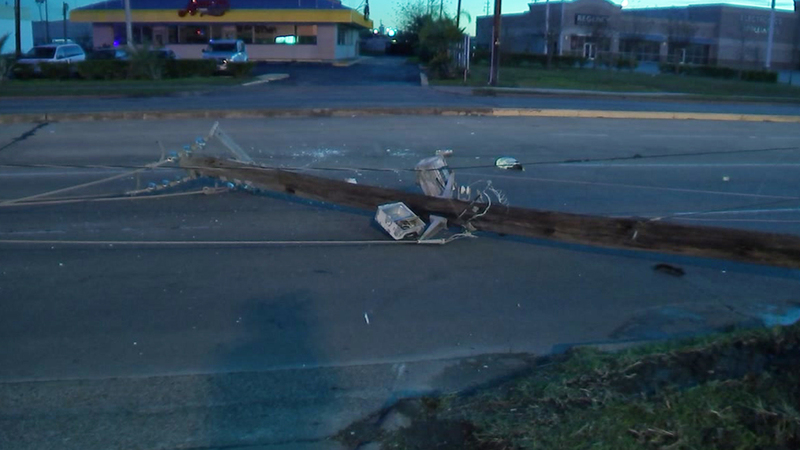 HOUSTON -- A woman who drove her car into a power pole, knocking it over this morning in southwest Houston, apparently walked through charged power lines in order to get some tacos. Crews on scene told Eyewitness News that around 4:30am the woman apparently fell asleep while driving, left the road, and struck the power pole, bringing it down. We're told it appears that she walked away through the charged downed power lines and that emergency medical services and police found her eating at a nearby taqueria. Authorities say they found her to be intoxicated and transported her to a local hospital for evaluation. Power is out for a more than hundred people in the area, including some businesses. The power is expected to be restored before noon.